This site is the property of Fast Cleaners Bromley. We control and manage everything on it. Our great concern is to ensure maximum privacy to all, to make browsing safe and satisfactory, with the necessary resources to our visitors. We gather all sort of information from our users. However, it’s open, optional and voluntary to any user to subscribe or participate in our surveys. Our data networks are secure and password protected with only authorized individuals operating them. 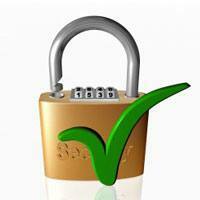 Our main aim is to ensure maximum security to all our users’ information. We use the information provided by any of our users voluntarily to better our experience based on the users’ interest. Fast Cleaners Bromley does not share this information or newsletters mailing list of our subscribers with any other party, sponsors, partners and advertisers. Our cleaning company Bromley takes full responsibility to ensure that all information found on our web pages is always valid, up to date, resourceful and accurate. However, we do not guarantee the use of our information. It is for your own benefit, knowledge, or training. So, it advised to always use it as a guide. On our pages, we post pictures and images. These are mainly for training, demonstration and knowledge. We hope they are valuable, educative and of help to all users. They are not guaranteed too. We do not offer any guarantee for website failures or operation errors, computer viruses which may affect your machine while browsing and any other harmful products that may be found on our server. Our cleaning company will never be liable for any loss or damage that may be incurred as a result of using or relying on any information contained on this website, be it direct, indirect, special, consequential or incidental. It does not matter whether the possibility of such loss or damage was advised or not. As we hold, it’s all for your own benefit. All information, pictures and images on our site and pages is clearly with no valid warranty, be it implied, express, fitness for special purpose, accuracy or completeness and infringement or title. Call us and ask about our cleaning prices on 020 3322 7019.